ALEXANDRIA, VA – The Association of Government Relations Professionals (AGRP) announced today the signing of a partnership deal with noted career site The Brad Traverse Group (BTG) that makes the site the association’s official job board and career resources partner. Beginning today, AGRP will launch a new career page sponsored by The Brad Traverse Group that will provide a wide range of career opportunities and discounts to its members. AGRP will launch a new job board on its website GRProfessionals.org entitled “The AGRP Job Board, sponsored by Brad Traverse” as well as co-brand the job portion of its member newsletter. Both companies will add the other’s logo to their site and AGRP members are eligible for a waiver of the $10 BTG registration fee. 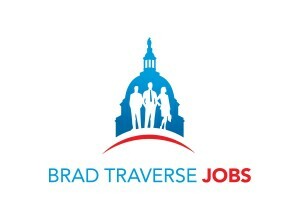 “Job Listings From Brad Traverse” is the most comprehensive resource for anyone seeking a job on Capitol Hill and off the Hill in the fields of government relations, public policy and affairs, PR, communications, and political campaigns. Job seekers can find more than 3,000 leads in the database, none more than two months old.